Who says a hunting knife cannot be a work of art? Sure, we know that the swayback design of the 8CR13MoV stainless steel blade of the Kershaw Northside Hunter 1090 was meant to easily dress game, but it sure forms an artistically pleasing line with the hunter green injection molded santoprene handle. Beyond the appealing looks, you have the functionality of a rust resistant fine edge blade that locks securely into place with a lockback mechanism. 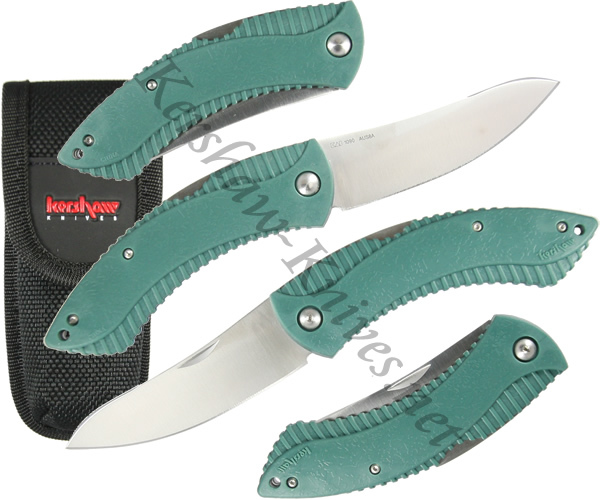 A sheath is included with the purchase of the Kershaw Northside Hunter knife.